The Florida State League Hall of Fame Induction ceremony will take place on Wednesday, November 15, 2017 at the Sheraton Sand Key Resort in Clearwater Beach, FL. 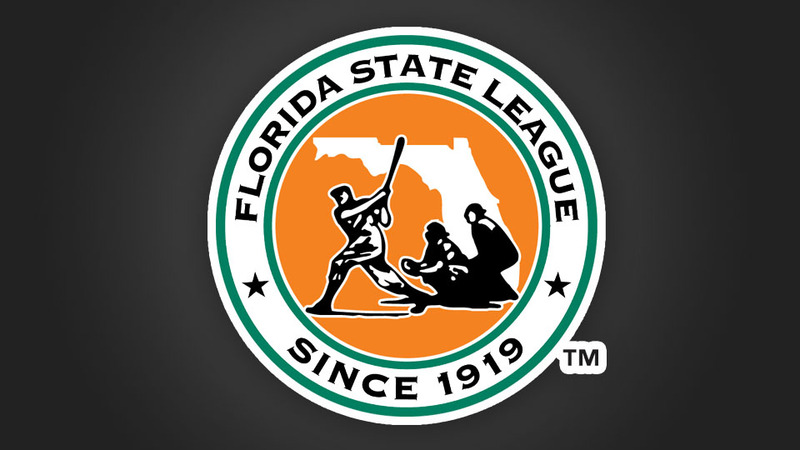 Tickets and reservations are available by calling the Florida State League office at 727-224-8244, email at office@floridastateleague.com, or by mail to Florida State League, 3000 Gulf to Bay, Suite 219, Clearwater, Florida 33759. Aaron Harang was drafted out of San Diego State University by the Texas Rangers in the 6th round of the 1999 MLB June Amateur Draft. He was called up to the Port Charlotte Rangers in 2000. In 28 games he posted a 13-5 record with 136 strikeouts and a 3.32 ERA. Aaron made his MLB debut with the Oakland A's during the 2002 season. In his 14-year MLB career, Aaron pitched for the A's, Reds, Padres, Dodgers, Mariners, Mets, Braves, and Phillies earning 128 wins and 1,842 strikeouts. Cliff Lee pitched at the University of Arkansas and was drafted by the Montreal Expos in the 4th round of the 2000 MLB June Amateur Draft. He pitched for the Jupiter Hammerheads in 2001, appearing in 21 games. During his time in the FSL, he posted a 2.79 ERA over 109 innings with an impressive 129 strikeouts. Cliff made his MLB debut in 2002 after being traded to the Cleveland Indians. Over his 13-year MLB career, Cliff played for the Indians, Phillies, Mariners, and Rangers. He won the Cy Young Award in 2008, and pitched in the 2009 World Series. Cliff amassed 143 wins and 1,824 strikeouts during his MLB career. Randy Johnson attended the University of Southern California and was drafted by the Montreal Expos in the 2nd round of the 1985 MLB June Amateur Draft. As a member of the West Palm Beach Expos, he started 26 games during the 1986 season. Over the course of 119.2 innings, Randy compiled an 8-7 record and racked up 133 strikeouts and a 3.16 ERA. He made his MLB debut with the Expos in 1989, and after only six starts, Randy was traded to the Seattle Mariners. Johnson pitched in the Majors for 22 seasons with the Expos, Mariners, Astros, Diamondbacks, Yankees, and Giants. He earned five Cy Young Awards, 303 wins, a World Series Championship, and was elected into the Baseball Hall of Fame in 2015, his first year of eligibility. Randy is second all-time for strikeouts by a left-handed pitcher with 4,875. Adrian Beltre was signed as a free-agent by the Los Angeles Dodgers in 1994 as a 15- year old from the Dominican Republic. In 1997 he made his FSL debut as a member of the Vero Beach Dodgers where he played 123 games as an 18-year old. Adrian hit 26 HR's, with 104 RBI while batting .317 and amassing 25 stolen bases. He made his MLB debut with the Dodgers in 1998 at the age of 19. During his career, Adrian has played for the Dodgers, Mariners, Red Sox, and currently plays for the Texas Rangers. In his 20 years in MLB, Adrian has hit 462 HR's, knocked in 1,642 RBI, and has won four Silver Slugger Awards and five Gold Gloves. Joe Altobelli began his Minor League career in 1951 playing in the FSL with the Daytona Beach Islanders, an affiliate of the Cleveland Indians. In 140 games, Joe totaled 204 hits and had a .341 batting average in 598 at bats. His first call to the big leagues was with the Indians in 1955. Joe bounced back and forth from the Minors to the Majors serving parts of three years in MLB with the Indians and Twins. Joe went on to become an MLB manager. He managed the San Francisco Giants for six years and then led the Baltimore Orioles to the World Series title in 1983. Evan Chambers attended Lakeland Senior High School, then Hillsborough Community College before being drafted by the Pittsburgh Pirates in the 2007 MLB June Amateur Draft. His FSL career began in 2011 with the Bradenton Marauders where he played 125 games. Evan finished with 102 hits, 55 RBI, and 57 runs scored. In 2012 he spent time with Bradenton and the Altoona Curve of the Eastern League. While playing for the Gulf Coast League Pirates in 2013, Evan tragically passed away in his sleep at the age of 24 due to a rare heart defect. Evan's parents, Denise and Dr. Evan Chambers founded the Evan Michael Chambers Youth Baseball and Softball League in 2017. His parents felt the new league was a great way to honor their son because it encapsulated the two things Evan was most passionate about: baseball and assisting children in his community. Manny Acta signed as a player with the Houston Astros at the age of 17. In 1988 he spent a season with the Osceola Astros. He played five seasons in the Minors before embarking on a career as a manager. Manny began managing in 1993 in the New York-Penn League and made his way to the FSL in 1998 with the Kissimmee Cobras. In three years with the Cobras he amassed 208 wins and won the 1999 FSL Championship. Manny went on to manage in MLB for the Washington Nationals and Cleveland Indians. Acta currently serves as the GM for the Aguilas Cibaeñas team in the Dominican Republic Winter Baseball League, and has spent the past two seasons as the third base coach for the Seattle Mariners. Tim Murphy is a former Minor League and Major League baseball executive with the Texas Rangers. He began his career as the Assistant General Manager of Florida Operations for the Rangers in 1989 and held that position through the 1992 season when he was promoted to General Manager of Florida Operations. He served in that position until 1996 when he moved to the Dallas/Ft. Worth area to become Assistant Vice President of Customer Service with the Rangers. He later served as Vice President of Event Operations with the Rangers until he left baseball in 2001. Tim currently owns a State Farm Insurance agency in the Jacksonville, FL area. Jordan Kobritz is currently an investor in CBI (Caribbean Baseball Initiative), a Limited Partnership that owns the Charlotte Stone Crabs. Prior to his involvement with CBI, Jordan owned and operated the Maine Guides of the International League as well as the Daytona Cubs of the FSL. Jordan was instrumental in moving the Baseball City Royals to Daytona Beach in 1993. During his two ownership stints in the FSL, Jordan has served the League in a number of capacities, including his current role as a member of the FSL Executive Committee. Joe McDonald was a member of the New York Mets organization from 1965-1980. During that time he served as Administrative Secretary, Farm Director, Director of Minor League Operations, Assistant General Manager, and General Manager. He later worked as an executive with the St. Louis Cardinals and Detroit Tigers followed by scouting jobs with the California Angels, Colorado Rockies, and Boston Red Sox. Joe has five World Series rings from his time as a MLB executive and scout. Jerry Crawford wwas an umpire in the FSL in 1970. He also spent time the New York-Penn League, Eastern League, and International League. Jerry became an MLB umpire in 1977 and served in that capacity until 2010. He worked the playoffs 18 times, including 12 League Championship series and five World Series, serving as crew chief for two of them. Additionally, Jerry umpired two All-Star games.